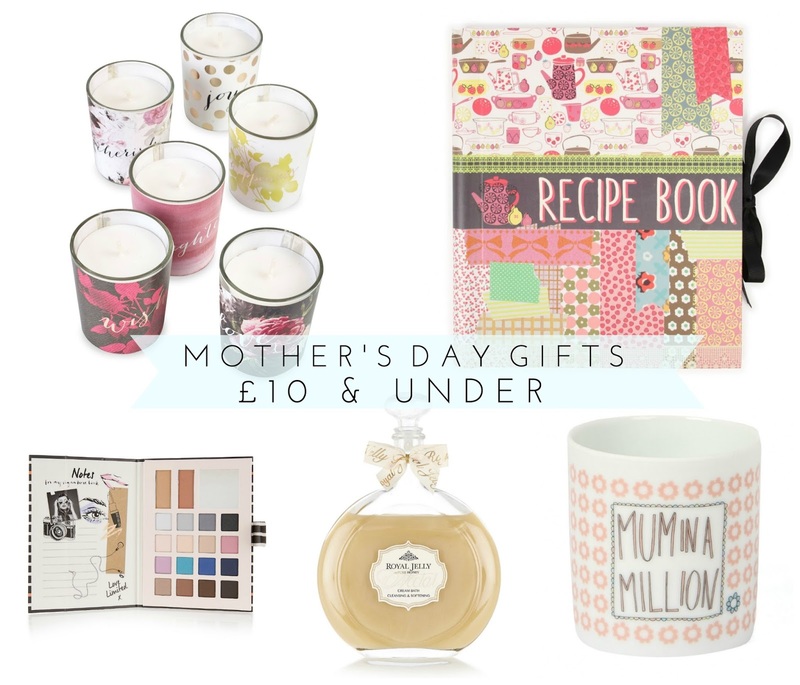 It's Mother's Day on Sunday, so if you haven't already found the perfect gift for your mum, here are a few lovely ideas that won't break the bank! 2. Paperchase Recipe Book - £10 | If your mum is into cooking or baking, why not treat her to a recipe book? I thought it would be such a special idea to get her to write down all of her favourites so she can pass them onto you in years to come. 3. M&S Limited Edition Face Palette - £10 | One for makeup-loving mums! I can't get enough of Marks and Spencer's makeup at the moment. It's great quality and not tested on animals. 4. Royal Jelly Cream Bath Decanter (M&S) - £8 | I had to put this in as Royal Jelly is one of my mum's favourite brands! I bought her this decanter for Christmas as it's so beautiful and makes bath time that little bit more of a luxury. 5. Mum in a Million Mug (Paperchase) - £6 | You can't go wrong with a mum mug! This one is so cute and is sure to put a smile on her face. My Mum's Book Release Day!